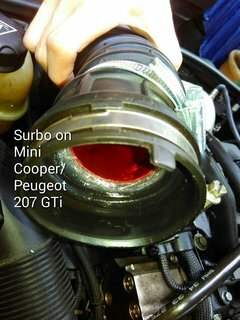 Photo below shows Surbo installed on Mini (normally aspirated, 120 bhp). The air filter will be put back afterwards. 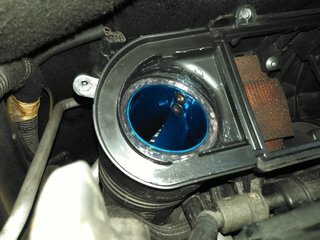 Photo below shows Surbo installed on Mini Cooper 2009. The air filter will be put back afterwards.